Knowing which assets to give away to your beneficiaries can save your estate and your beneficiaries big tax bills, even if you have a small net worth. If you plan on making a gift to charity from your estate, you can be even more tax savvy with your giving. In general, tax-deferred assets, such as traditional IRAs or 401ks, are ideal to give to charity because the charity will not pay any additional income tax on the gift. For example, assume Tom wishes to give $10,000 to his son John and $10,000 to his favorite charity. Tom has a bank account with a balance of $10,000 and a traditional IRA valued at $10,000. Which asset should he give to John and which should he give to charity? Scenario A: If Tom was to give John the $10,000 IRA, the actual value of the IRA inheritance could be reduced by as much as 40% because of the income tax John will pay over his lifetime. In other words, the actual present value of the inheritance to John is $6,000. If Tom gives the bank account to the charity, the net value of the gift to charity is $10,000. In this case, the value of Tom’s wealth has nothing do to with the tax which John may owe. If John inherits an IRA, he will be required to withdraw a portion of the money each year and pay tax on it. If it turns out that John is in a high tax bracket, he could easily pay 40% of it each year in tax. Scenario B: If Tom was to give the IRA to the charity, the net value of the gift to charity is $10,000 because the charity does not pay income tax. Tom can then give the $10,000 cash to John. No income tax is owed on the inheritance of $10,000 cash. Thus both the charity and the son each receive a gift valued at $10,000. Pre-tax retirement assets may be better to give to charity than to your loved ones. With a little planning, you can give more generously to your loved ones and to charity…and not to the IRS. 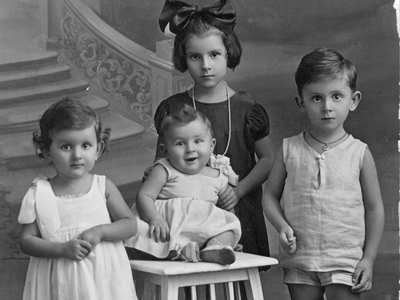 Photo of Family history part 2, by Enrico, used under Flickr Creative Commons license.